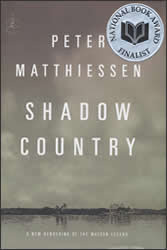 PETER MATTHIESSEN won the 2008 National Book Award for Fiction with Shadow Country (Modern Library, 2008), a thoroughly reworked compression of three novels published in the 1990s based on the life of Edgar J. Watson, a 19th century ruthless cane farmer in Florida who was said to be a serial killer. 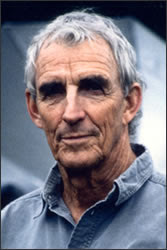 Matthiessen, who received a National Book Award in 1979 for his nonfiction work, The Snow Leopard (The Viking Press, 1978), an account of his spiritual journey through the Himalayas which has become something of a modern classic, was a finalist in two previous years. 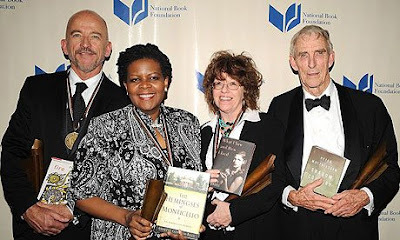 Annette Gordon-Reed won for nonfiction with The Hemingses of Monticello: An American Family (W.W. Norton, 2008), a well-researched biography of three generations of a slave family owned by Thomas Jefferson, while Mark Doty won the award for poetry for Fire to Fire: New and Selected Poems (HarperCollins, 2008), a collection of new and old poems. The prize for young people’s literature was awarded to Judy Blundell for What I Saw and How I Lied (Scholastic Press, 2008), a noirish story about a teenage girl who enters into a complicated relationship with a soldier who served with her father during World War II.